This ep we read all your haiku and describe your photos from the Fracture contest, and reveal the winner (who gets a $100 Fracture gift certificate). Karen and I were seriously delighted and moved by those. Thank you to everyone who entered. Also, we talk about the film version of The Girl with All the Gifts, which you can rent on iTunes or Amazon if you want to watch it first. And we cover some news, and do our usual goofing around. ANNOUNCEMENT I’m thinking of setting a new goal for Patreon. If we make it to $1000/month, I’ll do something embarrassing. But I haven’t figured out what that is yet. If you have any ideas for what that should be, email brains@podcastica.com. And you can check out our Patreon page at patreon.com/jasonandkaren. Fracture: Your photos, in vivid color, printed directly on glass. First-time customers get a 10% discount by going to fractureme.com/podcast and clicking The Walking Dead ‘Cast. Thank you to Kirk Manley for doing the podcast art for our new podcast American Godcast (about the new Starz series American Gods)! You can find Kirk’s work at studiokm.com and at batmankm.deviantart.com/gallery. And finally, doing any online shopping? Please don’t forget to click through our Amazon link, walkingdeadcast.com/amazon, whenever you shop at Amazon. Thank you! This is the episode where I try to get non-gamers interested in video games. I’ve been so moved and engrossed by some of the games I’ve played recently, and have been looking for an excuse to talk about them. Join me, Duncan, and Dan from Australia for our top 5 video games from the last few years. Also, Duncan and Dan’s thoughts on TWD S7, some news, your feedback, and a new contest (see below)! This episode, while not perfect, really got us where it counted — really jumped up and grabbed us by the throat :) — and it was a pleasure to podcast about it. Hope you enjoy! As you might know, I’m giving myself a year to make it as a professional podcaster. Part of what’ll make that possible is support from you guys who feel like you’re a part of this tribe and would feel good about helping keep it all going. You can do that by going to patreon.com/jasonandkaren. I’m setting a goal of $2,000/month by the end of this year. Blue Apron: For less than $10 per meal, Blue Apron delivers seasonal recipes along with pre-portioned ingredients to make delicious, home-cooked meals. Get your first three meals free with free shipping by going to blueapron.com/deadcast. Exciting, varied, tense, twisty, and sometimes cringeworthy episode this week, as all the pieces come together for the big finale. Join Jason and Karen as we get ready to bring it on home for ya. DSTLD designs and crafts luxury-grade denim and essentials and refuse to work with department stores and retail middlemen, passing on the savings to you. go to dstld.com/deadcast right now and get 10% off your first pair. MVMT: Changing the way you think about fashion by offering high-quality minimalist products at a revolutionary price. For 15% off go to mvmtwatches.com/deadcast. And don’t forget to use our Amazon link, walkingdeadcast.com/amazon, for all your Amazon shopping! Every time you buy something using that link, we get a little kickback at no extra cost to you. Thank you! Next week: The big war! Right?! Okay maybe the first big battle in the big war. Please? At first glance this might seem like a slow episode setting the table for what’s next, but Jason and Mr. Blahg found a lot to like about it. And don’t forget to use our Amazon link, walkingdeadcast.com/amazon, for all your holiday shopping! Every time you buy something using that link, we get a little kickback at no extra cost to you. Thank you! 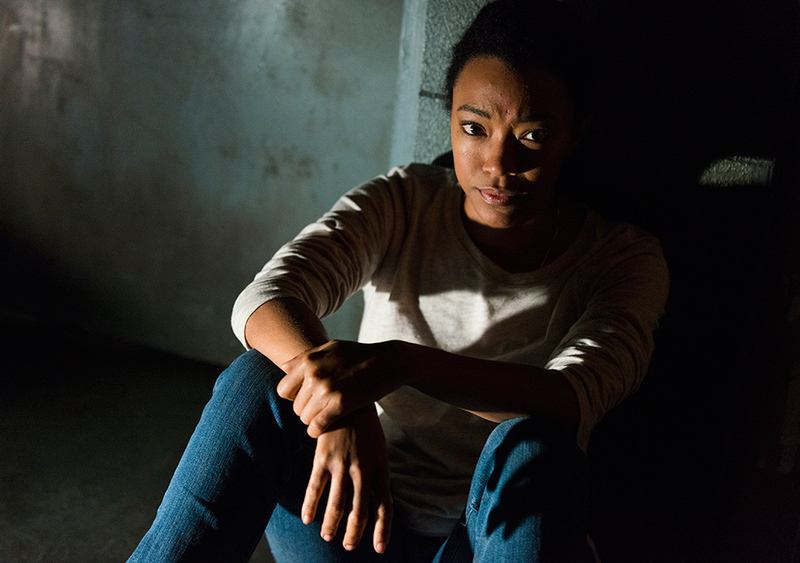 Another juicy Scott Gimple-written Morgan episode to sink our teeth into this week! Glad to be back this week to talk with Karen about this ep. Casper: An obsessively engineered mattress at a shockingly fair price. Spring is in the air, and The Walking Dead isn’t immune. This week we get into Rick and Michonne’s relationship as they take a much needed honeymoon. Plus we get some Rosita surliness and a little Tara waffling. All this and more as Mr. Blahg returns to co-host with Karen during Jason’s amazing trip to London for Walker Stalker Con. 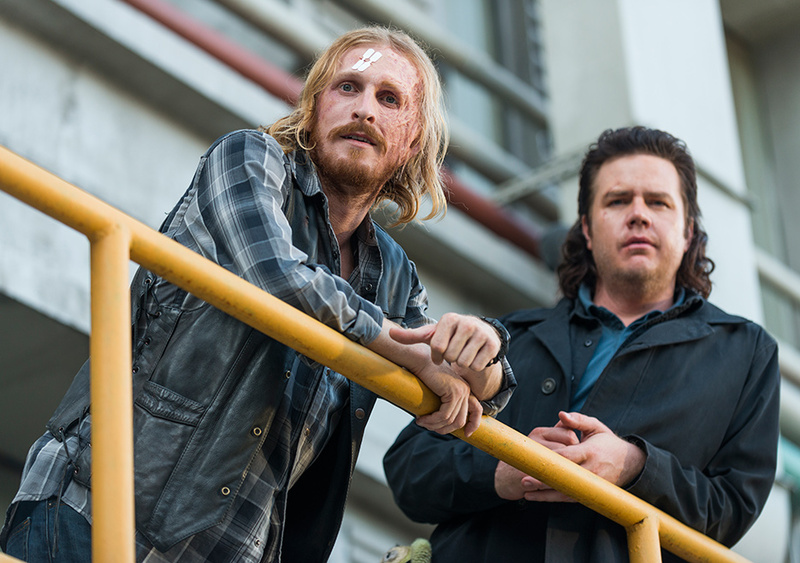 It’s another very focused episode as The Walking Dead zeroes in on The Sanctuary, Eugene, Dwight, and a bunch of Negan’s wives. Join us this week as Karen is joined by Mr. Blahg to discuss “Hostiles and Calamities”. Next time: Karen & Mr. Blahg! Creatively bold? B-movie cheesy? Exciting? Creepy? Join us as we figure out what the hell to make of what we just saw. This week I (Jason) am joined by my friend and Walking Dead superfan Rima Jo! Midroll: Midroll is the company that hooks us up with our advertising that makes it possible for us to do the podcast! Please fill out a quick survey at podsurvey.com/deadcast to help us find advertisers that you like and aren’t annoyed by :) Plus you get a chance to win a $100 Amazon gift certificate. Audible: You can’t make more time, but you can make the most of it. Turn your commute into something more with a free trial at Audible. Go to audible.com/deadcast to start now.